Designed for quail and other small eggs. Replaces the standard rails on the Model 3200 Quail Rails. 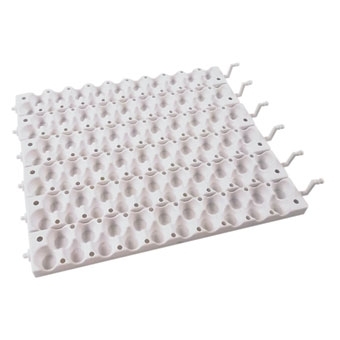 Holds up to 120 eggs - each rail holds 20 eggs. Easy to install and dishwasher safe.